Last summer I had the chance to test the new Fujifilm X-E3! I totally fell in love with the design and how beautiful the images were. It is the perfect little camera to throw in a bag and take along any where and it just so happens to take the most beautiful photos! You can check out a few favorites of some friends kids as well as some taken at terrain in Glen Mills! 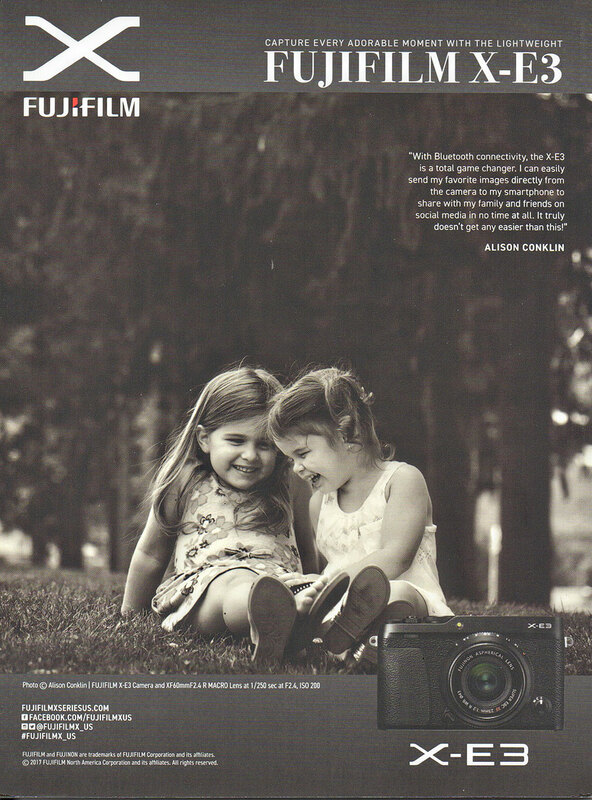 Fujifilm even used one of my images in an ad! !